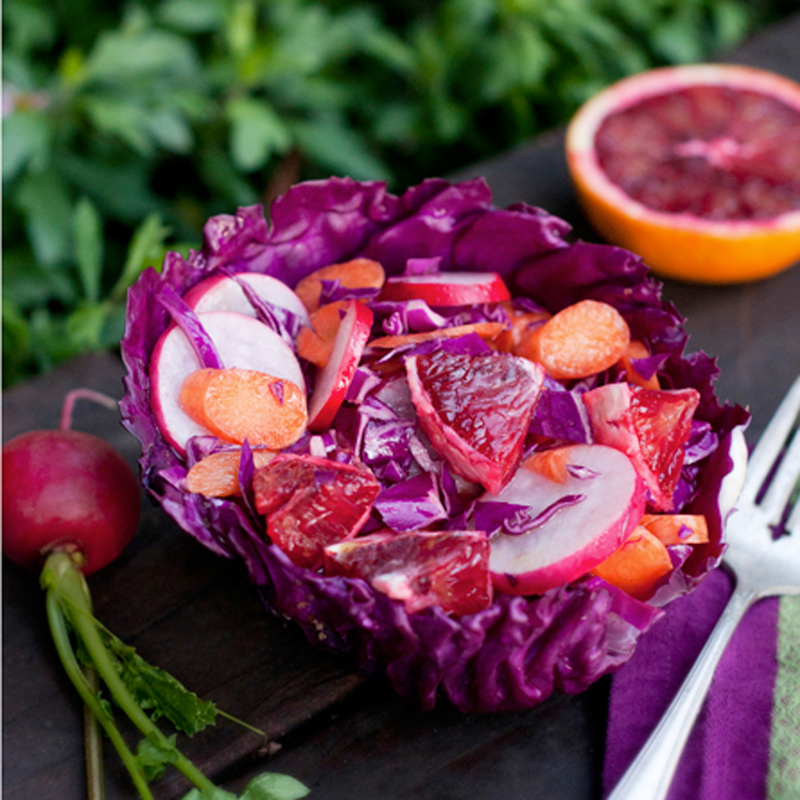 Slice or chop 2 carrots, 1 purple cabbage, 5 radishes and 2 blood oranges. Toss together with a handful of golden raisins. Make a simple dressing of olive oil, balsamic vinegar and the juice from one more blood orange. Use a couple of the outer cabbage leaves as bowls for a pretty look. A wintery citrusy delight!